Some of us would rather go on an adventure than laze around on a beach, gulp hundreds of liters of alcohol, dance in a night club till we drop dead or even watch a movie. If you are one such kind of a person, worry not. Below are the top 10 destinations for you. If you want a destination that absolutely rocks in terms of diversity of flora and fauna and number of activities you can engage in, look no further. 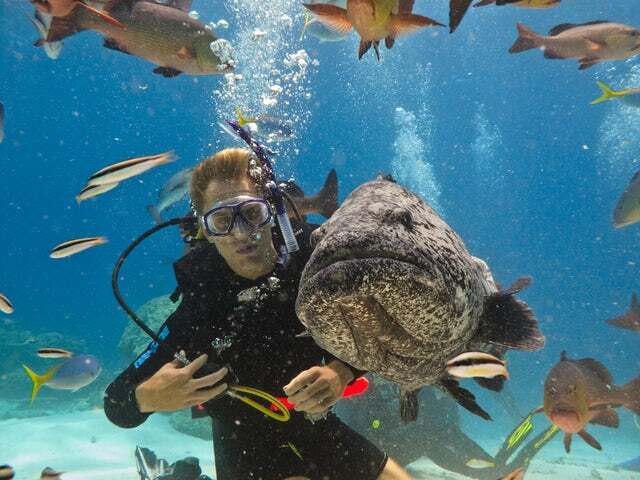 The Great Barrier Reef is home to the world's most diverse ecosystem. Located in Egypt, this will not only be an adventure but also a lesson in history. Travel the Sahara desert as you learn about such Egyptian rulers as pharaoh Imhotep. This icy landscape is big enough for you to explore for the rest of your life. If you get your kicks from going on the outdoors, this is the place to be. If you are into wildlife, then there is no better place to go than Maasai Mara in Kenya and Serengeti National Park in Tanzania. Here you will get to see the African jungle Big Five that includes Lions, Elephants, Rhinos, Leopards, and Buffaloes among other animals. This destination is ideal for those who love hiking and exploring the dense tropical forests. This destination will test all your will to surmount the dense forest trails and withstand the rain. If you love exploring, why not try this Cambodian religious site? The temple is the largest religious monument in the world and a UNESCO listed world heritage site. If you are the outdoorsy, sports fan, then ice-skating, dog sledding, skiing and other winter sports at Whistler will kick your adrenaline into hyper drive. Do you know what Zip lining is? Well, it is hanging for dear life as you hurtle down a forest canopy on a zip line. This is one of the popular sports/adventures experienced in Costa Rica's jungles. A zorb is a large ball where one gets inside and run down a slope. Trust me; this is a new sport that is yet to catch on, but it is well worth your consideration. These destinations are enough to keep your heart beating fast enough and your gut recoiling at the danger you are willing to put yourself into in order to experience the 'thrill'. I do not blame you, I also love it...and it is safer than using drugs, right?